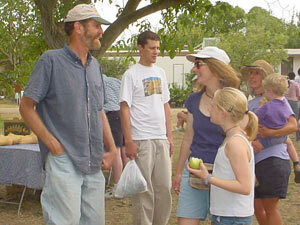 To sign up for our CSA, click here. 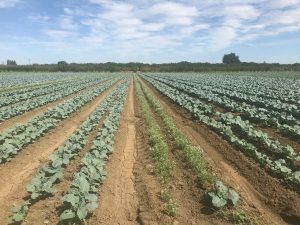 Terra Firma has over 15 years of experience producing high quality organic fruit and vegetables for its Community Supported Agriculture program. Our CSA members help to ensure the success of our business, and provide motivation for us to keep growing delicious, vibrant produce. Many of our subscribers have been with us since the beginning of the CSA; their kids have grown up with the memories of running through our fields and playing in our orchards at our annual CSA Farm Day, and they’ve grown up healthy while eating our vegetables. People who join our CSA will get the first pick of the crops from our fields each week; a diverse mix of fruits and vegetables in appropriate quantities. We deliver boxes to neighborhood drop sites throughout San Francisco, the East Bay, and Sacramento areas. In return, subscribers agree to pay for their produce in advance, with discounts based on the size of their commitment. 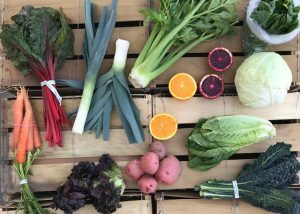 CSA members can stay up-to-date on the latest farm news and updates by reading our weekly newsletter, which also includes recipe ideas for that week’s CSA box contents.